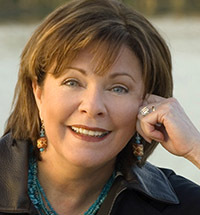 South Carolina native Dorothea Benton Frank is the New York Times best-selling author of Pawleys Island, Shem Creek, Isle of Palms, Plantation, Sullivan's Island, Full of Grace, The Christmas Pearl, Bulls Island, Return to Sullivan's Island and Lowcountry Summer (all published by William & Morrow). Her latest novel, Folly Beach, is also a New York Times best-seller. Frank has appeared on NBC’s Today Show, Parker Ladd’s Book Talk, and many local network affiliated television stations. She is a frequent speaker on creative writing and the creative process for students of all ages and in private venues such as the National Arts Club, the Junior League of New York, Friends of the Library Organizations, and the Susan G. Komen Breast Cancer Foundation. She has also been a guest speaker at the South Carolina Book Festival, Novello, North Carolina’s Festival of Books and the Book and Author annual event in Charleston, South Carolina, sponsored by the Post & Courier. Folly Beach is one of South Carolina's most picturesque spots. With its sandy beaches, laidback Southern charm, and beautiful sunsets, it's romantic, delightful, and just about perfect. For Frank's Folly Beach intrepid heroine, it is also a place where all the ghosts of her past roam freely. Called back to the rambling house where she grew up, Folly Beach, with all its zany inhabitants, becomes the backdrop for an exciting new chapter in a life that has already been touched by much pain. If only she'll let it. In writing the book, Frank uncovered the little-known history of George Gershwin, Folly Beach residents Dorothy and DuBose Heyward, and the creation of the legendary musical Porgy and Bess. Like Anne Rivers Siddons, Rebecca Wells, and Michael Lee West, Frank’s novels are wonderfully atmospheric. 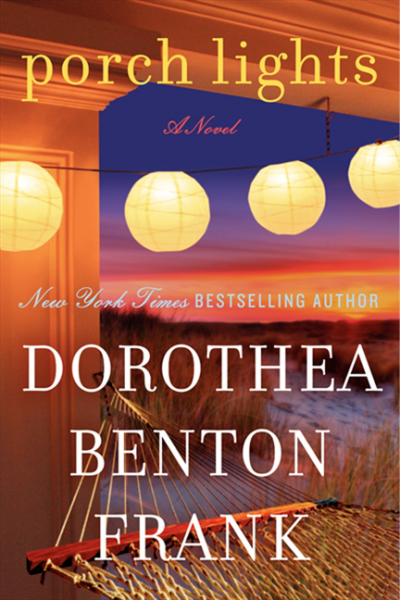 Her beloved books bring to life the rich atmosphere of the Lowcountry of South Carolina, both Hilton Head and Charleston, with evocative prose that allow readers to smell the sea air, see the palmettos, and savor the sweet tea. Before she began her writing career, Frank was involved extensively in the arts and education, and in raising awareness and funding for various non-profits in New Jersey and New York. She holds an appointment on the New Jersey Cultural Trust and serves on the Advisory Boards of the Southern Literature Council of Charleston and New Jersey Theater Group. Frank has served as a trustee of the Bill T. Jones/Arnie Zane Dance Company, New York, Music Theater Group New York, The Mental Health Association of Essex County, New Jersey and The Community Foundation of New Jersey. In addition, she served on the Board of Trustees of the Drumthwacket Foundation, the official residence of the Governor of New Jersey, for seven years. In 1991, she was appointed to the New Jersey State Council on the Arts. She has been a public speaker on fundraising and ADA compliance locally and nationally for the National Endowment for the Arts. Her work on ADA compliance and the Arts Access Task Force was filmed by New Jersey Network, a PBS affiliate and nominated for a regional Emmy in 1995. Past board service includes The New Jersey Chamber Music Society, Whole Theater, Dance New Jersey, American Stage Company, and Senior Care of Montclair. As a volunteer fund raiser, Frank has planned events for Bloomfield College, The Montclair Kimberley Academy, Unity Concerts, Papermill Playhouse, Overseas Neighbors, Young President’s Organization and The National Governor’s Association. She is a 1991 graduate of the Leadership America Program. Frank, who was born and raised on Sullivan’s Island in South Carolina, currently divides her time between South Carolina and New Jersey, where she and her husband are raising their two children. 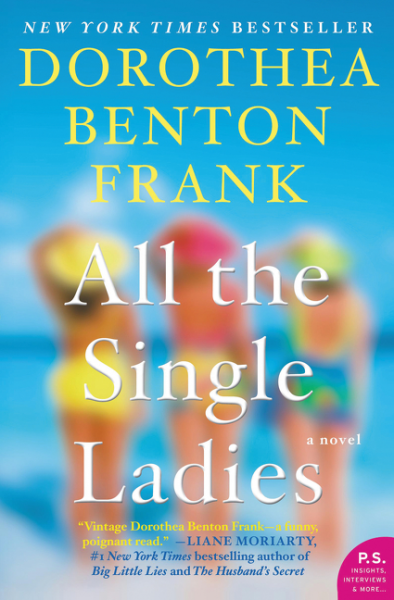 "When Dot B. Frank visits your library or speaks at your event - GET READY for a great time! She has the most amazing ability to connect with each person. Everyone leaves happy and feeling as if they have a new friend. And they do!" "Frank keeps you reading compulsively." 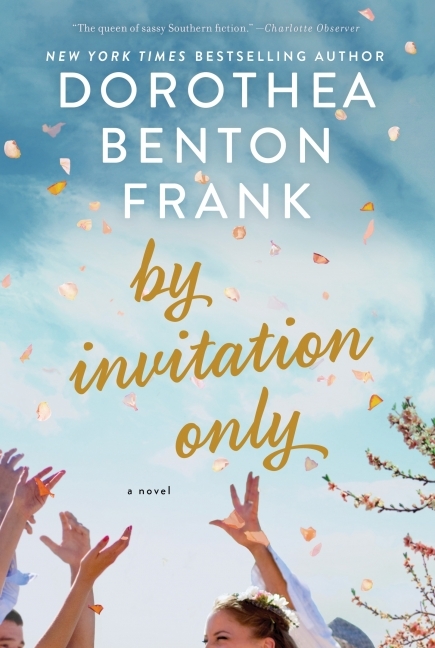 "Frank evokes the eccentric Hamilton family and their feisty Gullah housekeeper with orginality and conviction...thanks to these scrappily compelling portraits, this is a rich read." "Frank's absorbing narrative manages to feel both authentically Southern and universally empathetic." 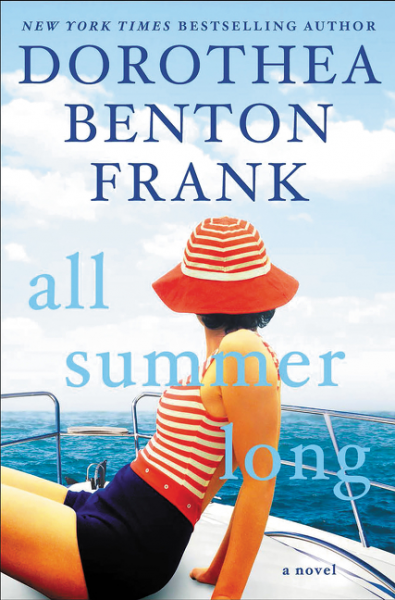 "Frank specializes in resilient characters who survive thanks to a saucy combination of grit and humor, and her vibrantly eccentric Russo clan may be her most endearing creation yet." "Frank . . . returns to the Lowcountry for another tale of romance served with a side of antipasti." "A warming female-empowerment tale with a side order of southern magic." "Once you pick this book up, you won't want to put it down again. 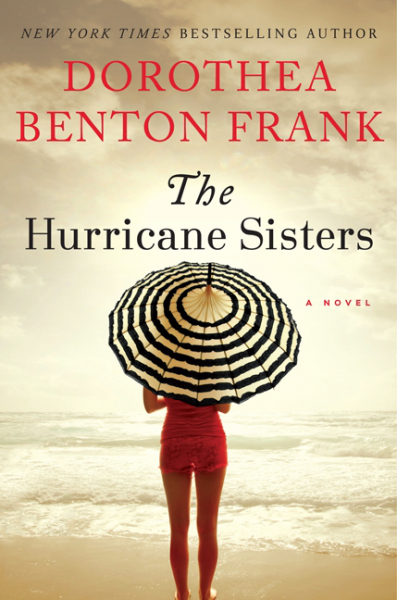 Frank's Low Country novels are always magical but this one is a dream." 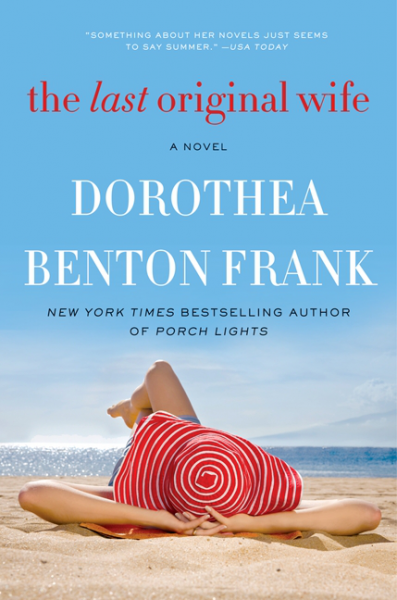 "Frank's lush and literary paean to her beloved Lowcountry provides a romantic glimpse into an artistic past." 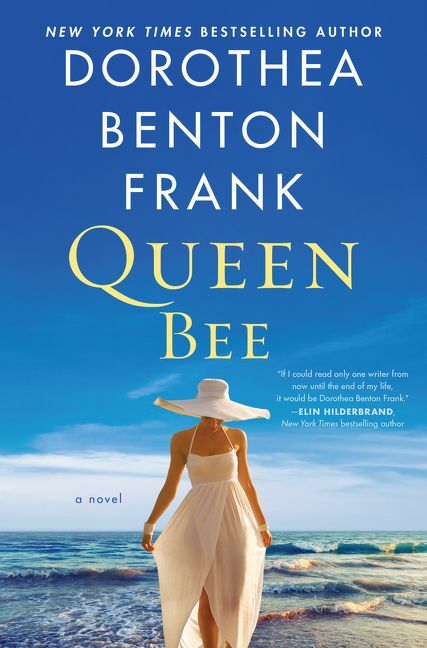 "Frank, who was born and raised in the Lowcountry, writes a knowing tale of 'loss, acceptance, family and love,' well-populated with her trademark compassionate and strong-willed characters." "Frank, who derived much background from papers at the South Carolina Historical Society, offers a seamless gift to all readers, though especially to her loyal Lowcountry followers. With irresistible charm, rich descriptions, saucy wit and a lush atmosphere, Frank's latest is a lyrical literary tribute to a place and time." 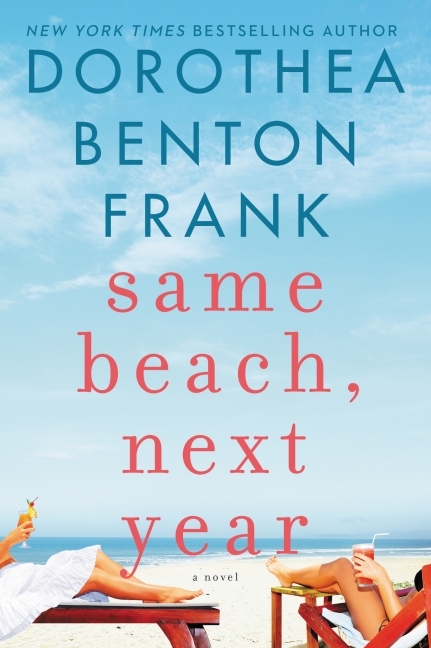 "[A] compelling tale of betrayal, shocking loss, acceptance, family ties, redemption and renewal....There must be something in the sea air and coastal breezes that infuses the language of low country authors such as Frank with full, lush, evocative word paintings. 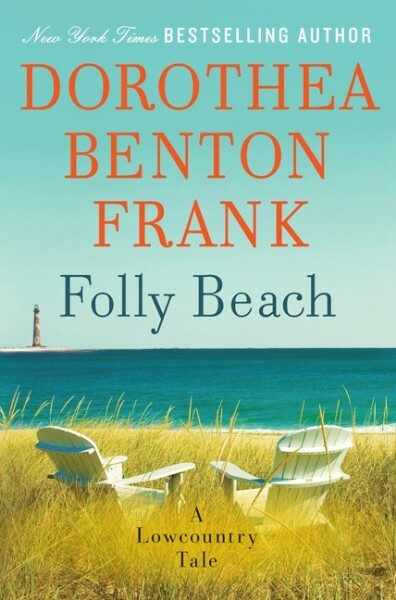 Folly Beach was much more than a great summer novel, with its combination of a romantic story and the careful blending of history. 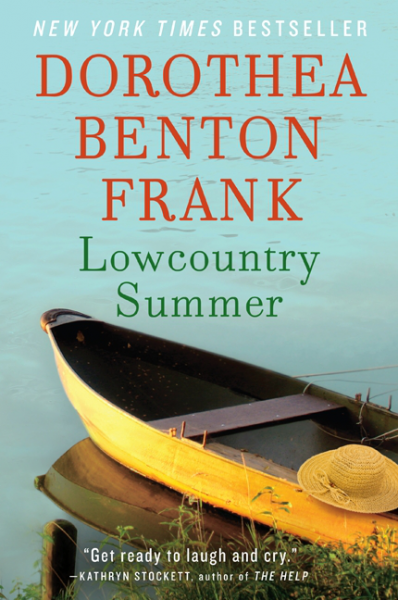 "Dorothea Benton Frank is true to form in this new edition of her Low Country tales. Filled with whimsy and humor as well as grief and integral parts of history, Folly Beach offers up the sights, scents, tastes and textures of the locale in such a fully tangible manner that we feel like part of the story -- the best reading experience we readers can have." "Folly Beach is a wonderful, feel-good read with a simple, uncomplicated plot. We can all identify in one small way or another with Cate's problems. The way she solves them gives credence to the saying that you never know what tomorrow will bring." "Reading her books is like cleansing the palate: a great story, genuinely nice people, and a setting you will long to experience for yourself."